Competition is an examining tool, a measuring stick. It is an auger to uncover the known from the proposed. Unfortunately, in the world of distance running the answers are no longer in question; which is one reason why the public has lost interest in the outcome of the sport’s competitions. What’s to uncover, which anonymous individual from East Africa will be today’s champion? We already know who is going to win before the starter’s pistol is ever fired. Which is why if running ever hopes to reengage the public at large, it must find a way to reframe its competitions. While the U.S. senior men’s team won a hard-earned silver medal at yesterday’s IAAF World Cross Country Championships in Bydgoszcz, Poland behind Ethiopia’s gold and in front of Kenya’s bronze, given that the Kenyan team was “the weakest in 20 years” according to BBC commentators, the results only underscored their dominance. 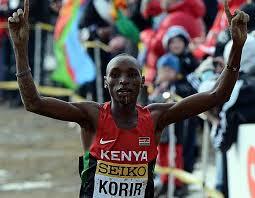 Not only did unknown Japhet Korir become the youngest man ever to take the individual men’s gold medal for Kenya, even as the top five places all went to fellow East Africans, the fact that the Kenyan squads — junior and senior, men and women — still won the majority of the day’s other medals over a course which was decidedly not African friendly, testified to the lack of competition offered by the rest of the world. In fact, many of the old-world cross country powers no longer even sent teams to compete. Germany, Norway, Russia, and France all remained at home rather than make the short trip to neighboring Poland. When its own member federations lose interest, how exactly does the IAAF propose to woo sponsors and attract sports fans? The IAAF has tried in the past to figure out how to address this end-of-competition dilemma. First, it offered new short course races for the senior divisions, hoping to bring more nations into play. But all that did was create more medal opportunities for the Ethiopian and Kenyan juggernauts. Then it turned the annual event into a biennial one, hoping that scarcity of supply might provoke urgency of demand. Instead, they got out-sight, out-of-mind. With the vein of distance running talent so deep and focused in the horn of Africa – it’s the greatest concentration of sporting talent in one sport in world history — the only way to engage the public outside that area is to spread that talent out around the world. 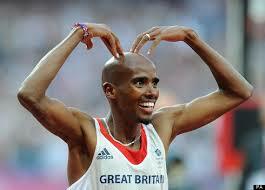 Ask yourself, would double Olympic gold medalist Mo Farah be Mo of Mobot fame had his parents not immigrated to England from Somalia? Would Meb Keflizighi be the Meb we know if he lived his entire life in Eritrea? Those two, along with U.S. citizens like Abdi Abdirahman, Bernard Lagat and Lopez Lomong have created personal brands not simply because of their running excellence, but because they have come to represent a wider audience. Nothing about them fundamentally changed except their affiliation, and therefore their appeal. Certainly, there are the exceptions like Haile Gebrselassie and Paul Tergat, men with that special charisma who transcend their country of origin. But as long as the sponsorship, TV, and fan interest that generates capital comes from places other than where the talent is developed, then a format that acknowledges that reality must eventually be put into place. This week’s NCAA March Madness college basketball tournament is a perfect example of how targeted affiliation can offset the anonymity of individuals. With the great basketball talents migrating to the professional ranks more quickly than ever, how does the NCAA basketball tourney remain so devotionally followed? By having people associate and identify with the college teams, even when they didn’t go to those particular schools. It doesn’t matter who is on those teams, it’s the school or city name on the chest that creates the following. But when running attaches its anonymous individual athletes only to shoe companies, and occasionally their nations, guess what? The promotion of the sport is left to the individual prowess of those athletes to generate fan and media interest. And when the crème of the crop overwhelmingly hails from non-brand savvy East Africa we get the state of the sport we see today. This is decidedly not the fault of the athletes. The actual stars in NCAA basketball, and football for that matter, are the coaches. But running doesn’t elevate coaches to such lofty status, and we certainly haven’t woven a rich fabric of teams, owners, general managers or agents to follow like other sports have when, in fact, we actually need it even more to offset the anonymity of our athletes. The IAAF still handed out their shiny medals yesterday in Poland, but their first priority going forward should be to acknowledge the reality of the situation that confronts them, then to construct a framework that not only lures back the best athletes, no matter where they come from, but also devises a competitive model that might bring back interest from more than just the purist bubble. Foze, so this is your friend Nick’s blog? It has great energy and enthusiasm. Blogging is like running, an ongoing process. The more you do, the more you can do. Onward. Is there any chance to get this event on ESPN, the new NBC and CBS sports channels? It would seem that a sponsor angel (Nike, New Balance, Saucony, Foot Locker etc..) might bite at this and ultimately help bring it back to the USA. Van Cortland Park would be a perfect venue. the event won by Paavo Nurmi three generations ago. With the massive numbers of participants taking part in cross country is there a sport less represented in the media or broadcast on North American airwaves? Van Cortland Park would not be an ideal venue because the course does not accomodate tracking cameras. The 2006 U.S. Nationals were staged in a snowy VCP, and you had a few stationary cameras to follow the action. Not good for international coverage. Also, the IAAF has already announced its intention of trying to get cross country into the Winter Games rather than the Summer. The snow in Poland helps make their case. Certainly, a reintroduction to the Olympic schedule would go a long way toward resurrecting the World Cross brand. Wow..the Winter Games idea is intriguing..a little weird when you think of some of the previous snow bound venues..but, if they can get it on the slate it would do everything to get the sport the attention it deserves. Too bad Vanny doesn’t afford the TV access required as it is the “Yankee Stadium” of the sport. Thanks for your informed and well written commentaries. 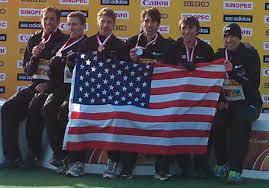 I don’t disagree but the USA XC Team showed (not necessarily with their stongest team either) and performed great. I think it means a great deal to our struggling athletics program in the US. Ben True in particular has had a great progression the last few years let’s do all we can to encourage more Ben True who are surely “out there” within whatever framework the governing bodies currently have to offer. What we need is more support for the athletes from our governing body and our biggest events, Boston Marathon etc. Absolutely, Hodgie. If USATF, Running USA, Boston, New York, Chicago, L.A., Competitor Group, Peachtree, Bloomsday, Bay to Breakers, the big organizations and events all supported training camps, then we could generate the Ben Trues of this nation on a systematic basis.